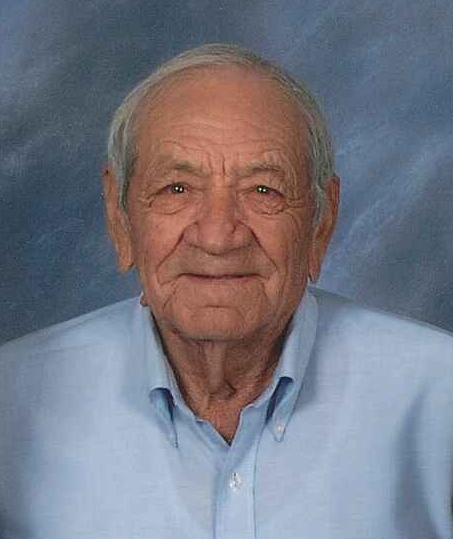 Services for Louis Dwight Walkingstick, Sr., 91, of Sallisaw, Oklahoma will be at 10:00 AM on May 18, 2018 at First Baptist Church in Sallisaw, Oklahoma. Burial will follow at Akins Cemetery in Sallisaw, Oklahoma under the direction of Agent Mallory Martin Funeral Service, Inc.
Louis Dwight Walkingstick, Sr. was born on October 18, 1926 in Dwight Mission community, Oklahoma to Mamie (Moore) Walkingstick and Dwight Louis Walkingstick and passed away on May 11, 2018 in Ft. Smith, Arkansas at the age of 91. He was married to Charlene (Lessley) Walkingstick in August 1952. He worked at Southwestern Bell, was a Fireman, an U.S. Army Veteran, and a member of First Baptist Church. Viewing will be Wednesday Noon – 8 pm and Thursday 10 am – 8 pm at Agent Mallory Martin Funeral Home in Sallisaw, OK where the family will greet Thursday 6 – 8 pm at the funeral home.